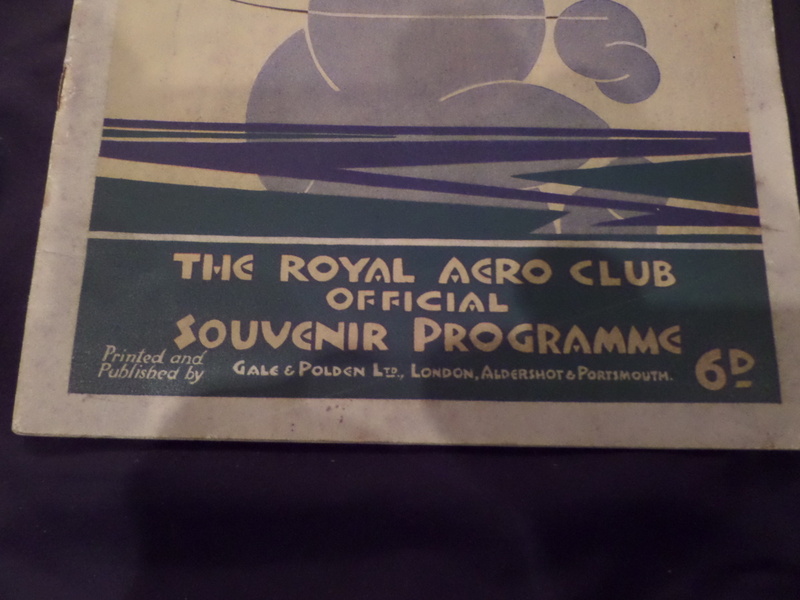 In Art Deco > Show & Tell and Paper > Brochures > Show & Tell. 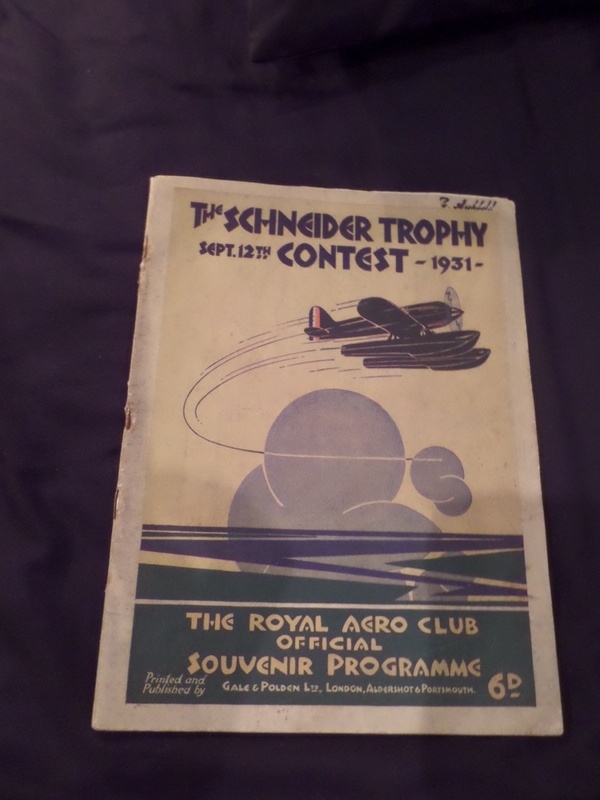 This is an original 1931 programme. 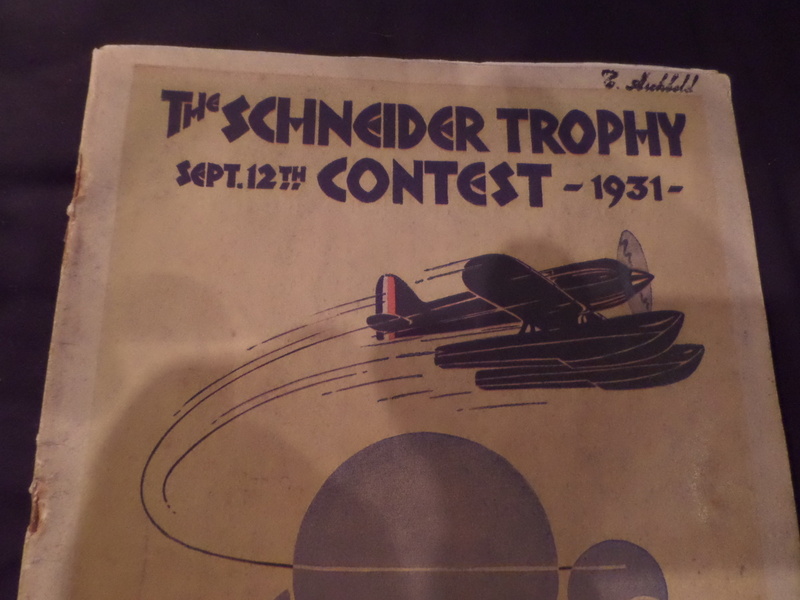 The "Schneider " trophy was exclusively for Sea Planes. 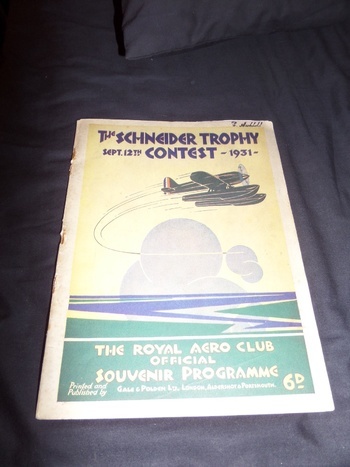 The winning plane was designed by R J Mitchell led to the development of the "Spitfire" of WW2 fame. The Sea planes top speed was 656km/h. A classic Art Deco cover on this.